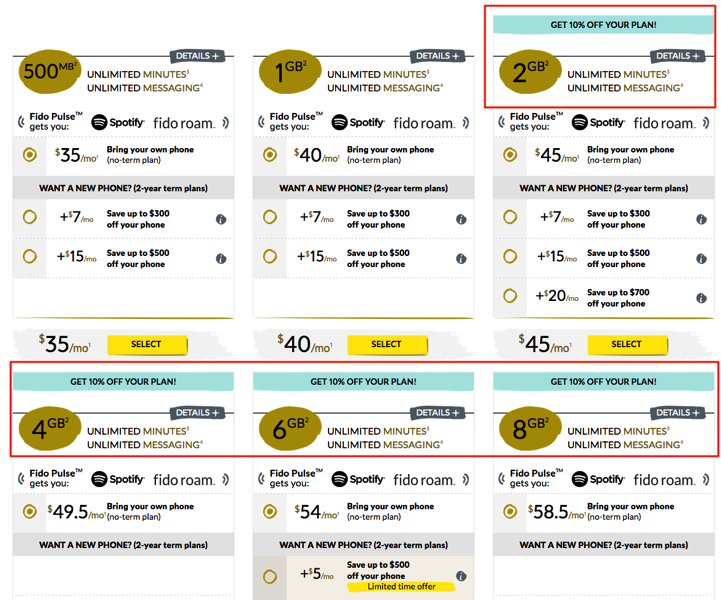 If you’re a Fido customer in Quebec, the company has launched a promo where customers can save an additional 10% off their monthly plan, for those with 2GB, 4GB, 6GB and 8GB Fido Pulse Plans. The discount is available for new activations and should also be available for existing customers, so call in and make that change. Also, if you are adding a second line to your account, this 10% discount can be stacked on the existing discount of 10% off additional lines. Let us know if you’re going to jump on these discounts and if you’re going to call in to make a change. Update: looks like the 10% off applies to all plans. Start calling in, folks.